Why should I care about add-ons? In the beginning, there was accounting software. And lo, the accounting software did a mighty fine job of efficiently managing compliance for a business. The problem is, no two businesses are the same. No two businesses work the same. There are differences in staffing, inventory, terms offered, dependence on financial advisors … there are just so many variables. So it’s crazy to think that one application will suit every single business straight out of the box. That’s part of the reason why MYOB has a number of offerings in its AccountRight and Essentials ranges, but that’s a story for another time. So what’s the relevance of add-ons? Think of your smartphone. Out of the box, it’s an amazing piece of technology, right? It makes calls, sends texts, browses the web, takes photos … but we want more. A better camera, Dropbox and eBay apps, Facebook and LinkedIn, perhaps your internet banking app, a different mailbox … the list goes on. Now think of accounting software. It also works out of the box (or in the case of Essentials, out of the browser). When it really shines, however, is when it’s personalised to the business. When it’s augmented by add-ons, it’s working its hardest. Is your client a not-for-profit? Perhaps they need better job management. Does your client hire casuals? A rostering add-on would help immensely. Got any hospitality clients? POS add-ons to the rescue. I think of accounting software as the settings area of your phone. How often do you go into settings? Once or twice a month, perhaps? The rest of your time you’re in your phone apps – and most probably they’re the apps you’ve downloaded from the store. Whenever I’m at a trade show or event like INCITE, I hear partners complain about the number of add-ons in the MYOB Add-on store. “It’s too hard to learn them all,” they say. I agree. There really are too many to choose from. And isn’t that awesome!? You can choose what works best for our clients. You don’t have to rely on your accounting software manufacturer to provide every solution your client needs to solve their pain point. More to the point, think about your smartphone’s app store. Do you know every app in that store? No. You don’t review the entire contents of the app store – you look for the thing that will solve your current problem, whether that be in productivity, finance, media, or boredom. You search for what you want – or you read about something that interests you. You maybe read some reviews, and then you try it. So why not apply the same thinking to add-ons? You don’t need to know every add-on intimately. You just need to talk to your clients to get an idea of what would help them in their endeavours, and then search the add-ons web page for a solution that fits. Now it’s just a case of reviewing the options, reading a few reviews, giving a couple a test drive, and whammo! you’re away. 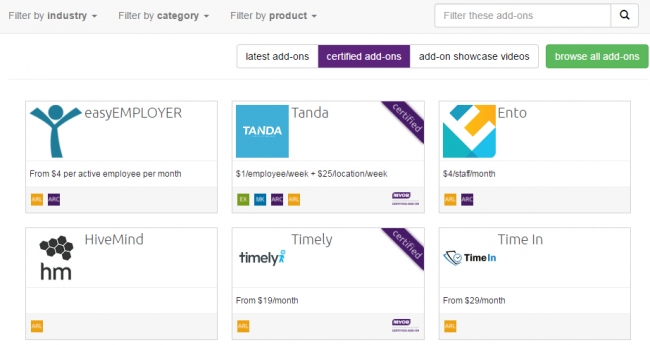 Take another look at MYOB Add-ons. They’ll help you provided more value to your clients, and form a critical part of the Connected Practice concept. 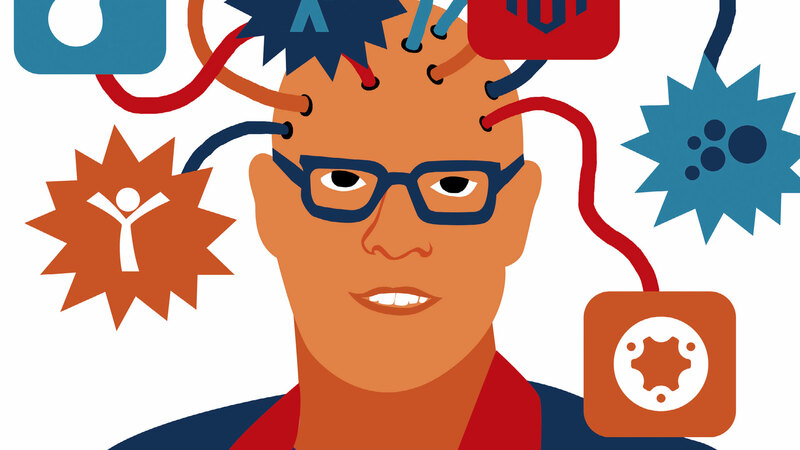 And remember, add-on developers are wholly focussed on their products and services. They are putting all their efforts into making the very best solution for you and your clients, and are often open to hearing your input on the add-ons features.